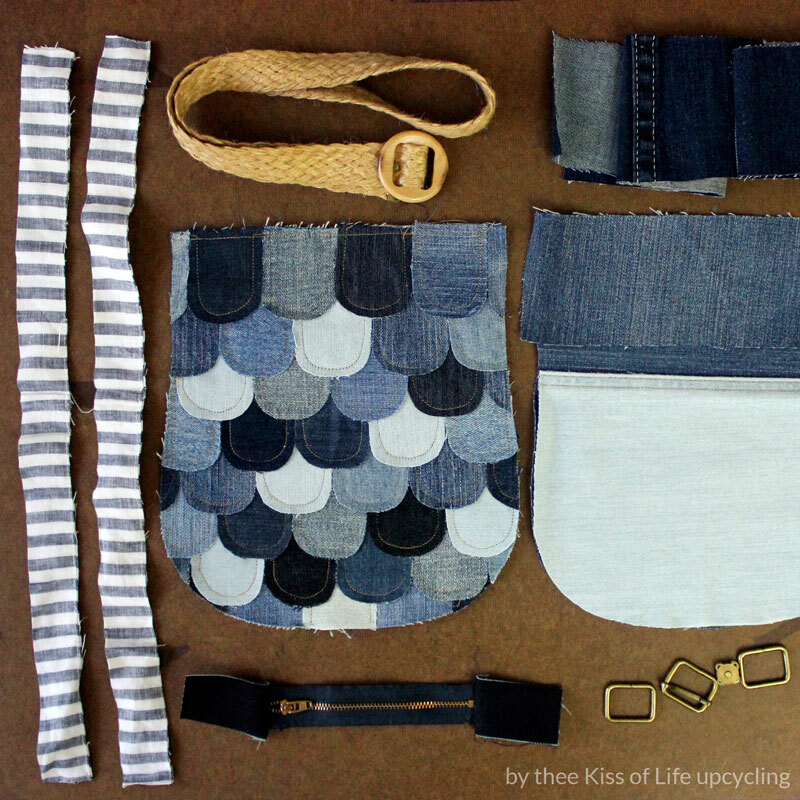 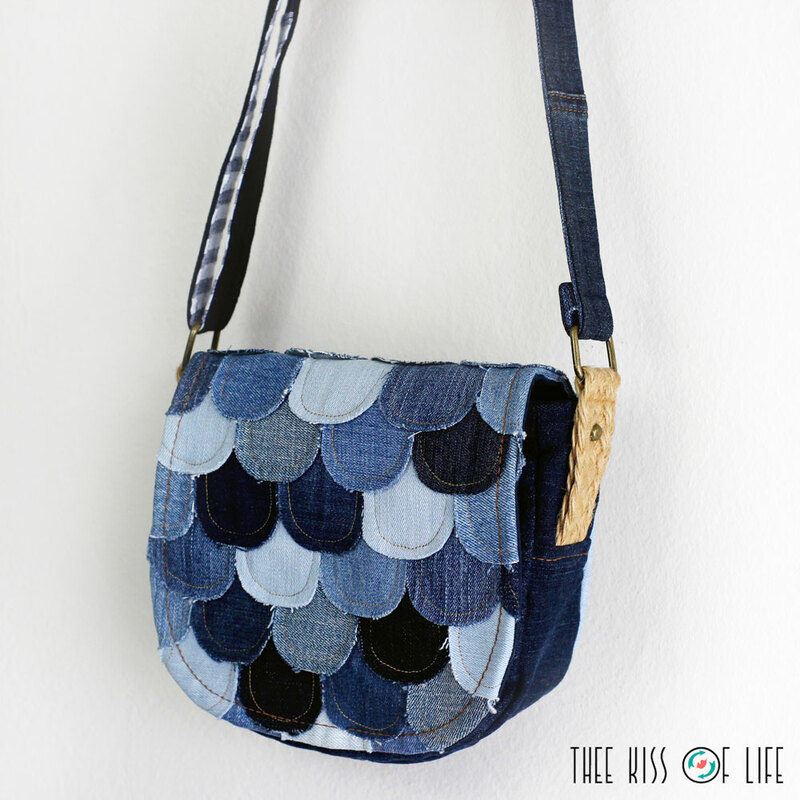 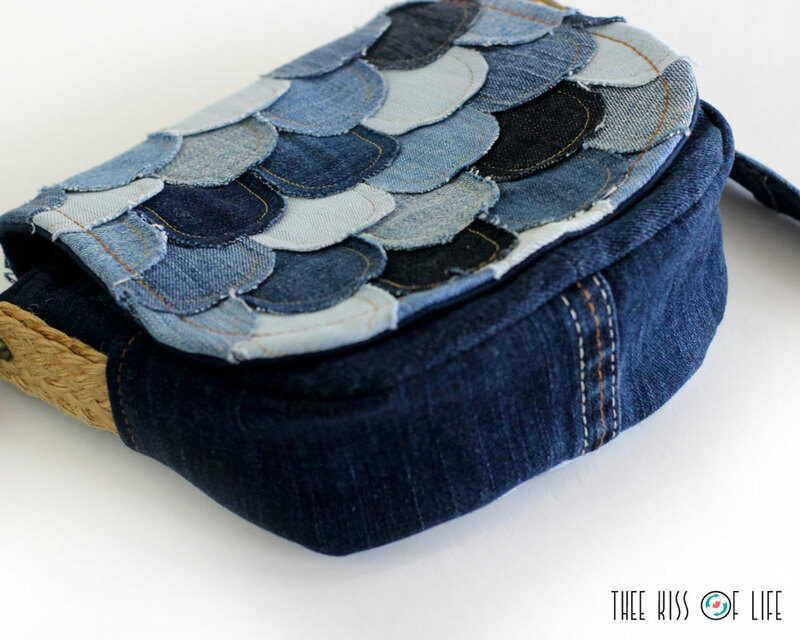 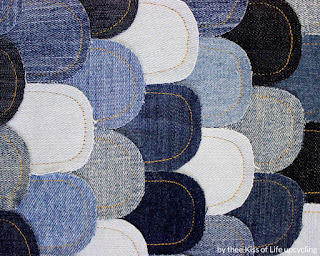 This upcycled denim messenger bag is the second bag I make with this denim scaly detail. It's a simple bag with three pockets, two inside and one on the outer back. 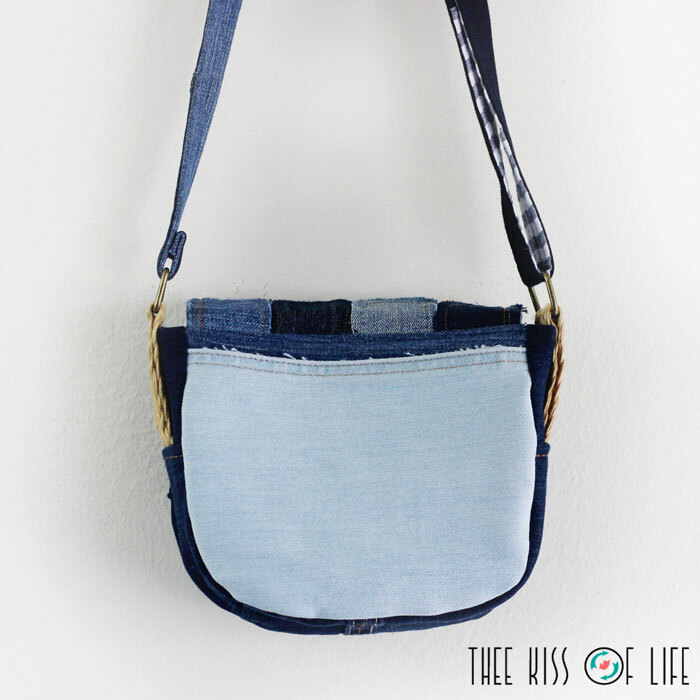 The straw belt keeps the flap in place to close the bag. 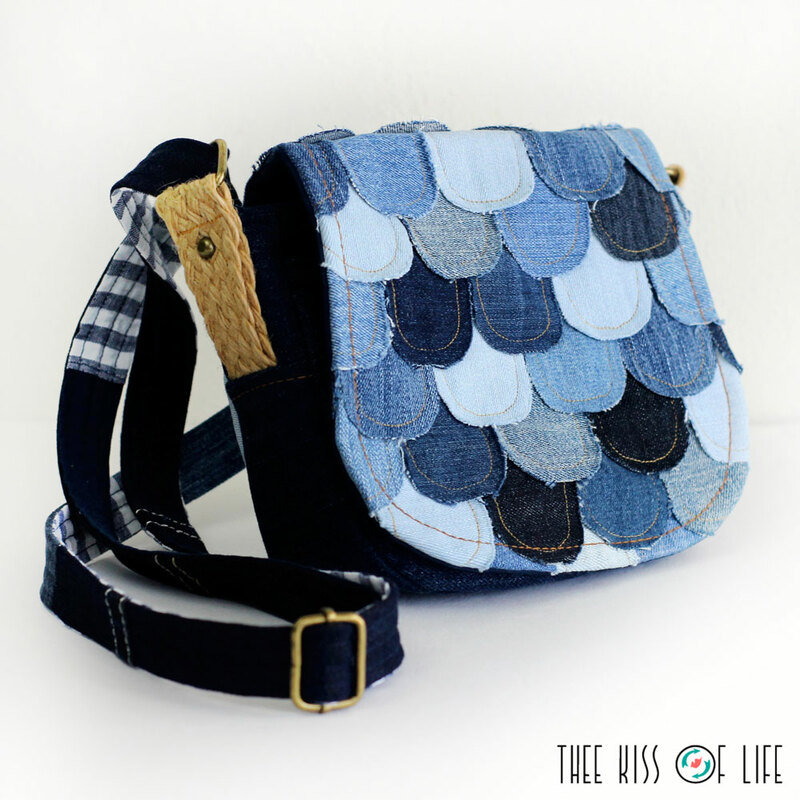 Check it out in thee shop! I drew inspiration from fish and mermaid scales and went for an overall beachy feel with the straw belt, striped linen pants hems and of course varying denim blues.